Game du Jour is the first “One Deal a Day” website for indie and casual PC games. Every day of the week, GameDuJour.com sells one popular downloadable game at a steep discount. But the clock is ticking and each deal expires at the end of the day. Visitors to GameDuJour.com can download today’s game, try it and buy it at a big discount until midnight Central Time. Then it’s a whole new game — the clock is reset and another game is available at a bargain price. 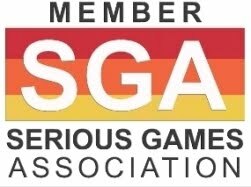 To foster relationships between gamers and spur communication, Game du Jour offers a community area in which anyone can join in the fun of discussing the current game and sharing tips and tricks. Game du Jour, a Silicon Valley start-up founded in 2006, is a marketing and distribution partner to game developers, giving those companies the opportunity for a rush of sales and heightened brand exposure during their products’ 24-hour lifecycle at GameDuJour.com. Philippe Piernot, Ph.D is the owner at Game du Jour, Palo Alto, CA. He is a results-driven technologist with a strong research, development and management background. In 1998, he co-founded Zowie Entertainment - a high-tech toy company - to commercialize the smart toy concept he developed at Paul Allen's Interval Research. Zowie's critically acclaimed products where heralded by Newsweek as "It toys of 1999" and the company was subsequently acquired by Lego Systems, Inc. He conducted his thesis research at Stanford University and earned his Ph.D. degree from Université Pierre et Marie Curie in Paris. 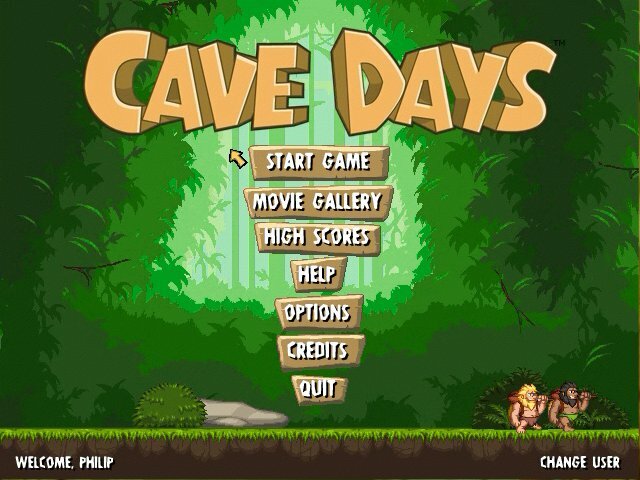 On April 12, 2008 Cave Days authored by Insolita Studios, will be available for a Free Trial download. You can try it and buy it at a 60% discount until midnight Central Time for the Game du Jour Price of $ 7.98. Insolita Studios is incubated as a resident company at the Technology-Based Business Incubator Center (Cietec) in Sao Paulo, Brazil. 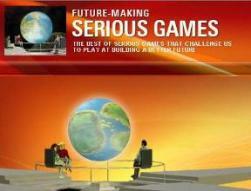 It was object of my prior post Serious Game To Evaluate Your Entrepreneurial Skills, covering Ottomax, an on-line game that simulates an enterprise environment, where the player becomes aware of his/her entrepreneurial skills, thus providing a valuable, interactive experience for those who intend to start their own business.